How often do I hear about a couple who has met on Match.com? Every day. At the gym, in the hair salon, and on Twitter, singles are talking about their online dating stories. It seems everyone knows someone who has met a significant other online. Online dating, computer dating, Internet dating, or cyber dating. Call it any variation you want, but Match.com is celebrating this week with 15 years of helping singles find love online with survey results confirming their position as a leader in the industry. Match recently completed a behavioral study of 11,000 people over a five year period, which concluded that one in six marriages took place between people who met through an online dating site. That comes out to 17% of couples who married during this period. The Chadwick Martin Bailey study on online dating trends looked at three areas: Marriage, Online Dating, and a General Survey. "The world has changed," said Greg Blatt, CEO of Match.com. "We get married older, we work longer hours, we move around more, we're generally busier. These changes have put pressure on the way we traditionally have met our significant others. Luckily, with these changes has come an increasing openness to doing new things. Online dating has grown so much in part as a response to these societal changes, having become the third most important way we meet our significant others, even though it didn't even exist 15 years ago." Blatt has informally changed the name of online dating to online meeting. Match was launched on April 21, 1995. The original membership was only $9.95/month. Presently a one-month membership to Match runs $34.99. 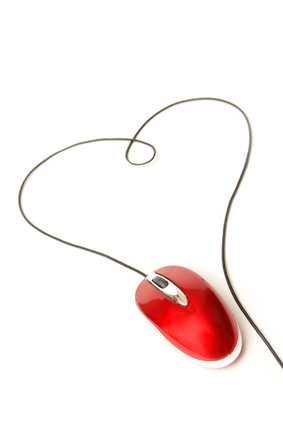 According to Match, more than 20,000 singles register on their site in the U.S. every day. The Match Online Dating survey conducted by Chadwick Martin Bailey shows a definite shift where more singles are meeting their spouses online than at bars, social clubs, and churches or places of worship. The Match study also revealed that their members have gone on more than twice as many dates as members of other online dating sites. Match launched Match Mobile last year and recently added an Android application to their service offerings. So how often do I hear about a couple who has met on Match.com? Every day it seems. In the nail salon, at the gym, in the hair salon, and on Twitter, singles are talking about their online dating stories. It seems everyone knows someone who has met a significant other online.